Looking for a great way to increase sales, service, profits and your customer base? Within as little as one week, Veritas Instrument Rental can custom build (or rebuild) a highly competitive rental program for your business complete with full-color rental brochures, inventory, and the forms, documentation & training necessary to get rolling. Your customers will think you’ve been doing this for years. Your competition will never see you coming! What makes Veritas one of the fastest growing providers in the nation? Our relationships. Our objective is to cultivate & maintain mutually profitable relationships with our affiliated retailers & service professionals. The operation of this program has been readily simplified over the years based on the ideas & suggestions of our affiliates. The result: A well documented, streamlined, turnkey rental program that works. We regard each and every affiliate as a partner in success, not just another agent working on our behalf. There is no inventory investment, franchise fee, startup cost or advance market research required to participate in this program. Veritas brings only the best in name brand products and years of administrative & marketing experience to your door at no cost to you. Our in-house collections department handles all of the customer billing, collection, past due phone calls & mailings and repossessions. Veritas affiliates are not obligated in any way to assist with the billing & collections process. What separates Veritas from other satellite rental programs? We eat, sleep & breathe this stuff! 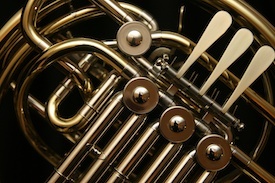 In addition to a high-percentage (as high as 30%) monthly commission & per-contract bonus, Veritas affiliates also benefit from updated school market data, rental brochure distribution to the schools within their market, cooperative advertising opportunities such as imprinted music folios, outdoor banners, store displays & posters, access to vast industry resources offered by national organizations & manufacturers and more. The mechanics of the rental program are readily simplified through an easy-to-navigate operations manual as well as a web-based online training university and in-store presentations. Your welcome kit arrives ahead of your inventory and includes everything you need to operate your new rental program. 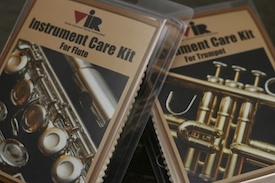 Once the instruments arrive, you'll be ready to take care of your first rental customer! 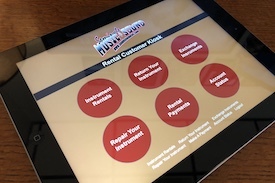 Customers are now able to rent instruments, initiate exchanges, returns & repairs, check the status of their account, and make rental payments, all from our free-standing iPad kiosk that takes up less than a square foot of store space! Use your own customer-use desktop, laptop or tablets? No problem. Simply direct your browser to our Kiosk Mode for the same functionality as our branded kiosk. Imagine paperless agreements at rental meetings, directing in-store customers to a self-service tablet while finishing up with another customer, or grabbing the kiosk as you're headed to the local high school's competition. The possibilities are endless! Don't be fooled by look-alikes or prototypes. This is the real deal, already in stores, a reality! There’s only so much one can learn from a manual. We go the extra mile to include interactive web-based training, quarterly service & marketing seminars at our training facility and even in-store presentations. Because we’re only as strong as our weakest link, we want to be sure our affiliates are empowered with confidence as they greet their new rental customers. And it doesn't stop there. As if our industry-leading compensation package weren't enough, we've developed Affiliate Rewards, a performance-based program affording affiliates the opportunity to earn valuable rewards including HDTVs, electronics & tablets, wearables, store displays, travel & lodging vouchers and spending cash at our 2019 Affiliate Conference in Orlando, Florida! I'm really happy to be working with you. I worked with _____ for many years and your service is far better. I can't say enough in praise of the support & cooperation of everyone I have talked to & dealt with at VIR. Thank you! You guys are great to work with. 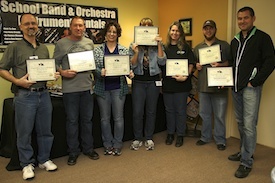 Thank you for all you do in support of our new program. Veritas has no retail stores of its own that you could end up competing with. We are not part of a larger corporation or a publicly traded company. And because we have no motivation to promote our name to the end user, all promotional materials and advertising will bear your trade name and logo. 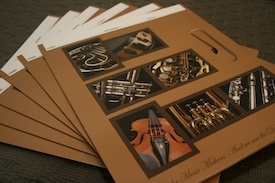 Through seamless integration, you'll be able to establish proper branding as well as your own identity as a school music resource. Operate your own program? Working with another company? Just getting started? Let's talk. Most independent rental operations are plagued by poor cash flow, aging inventory and collections nightmares. Several Veritas affiliates, once frustrated with their own program, are making more money now than ever. While their greatest fears included giving up control and profits, all they really gave up was the administrative stress and overhead. Many satellites for other companies are either experiencing recourse on uncollectable account or find themselves competing against their provider's retail stores. We handle all of the billing & collections, have no retail stores to compete against and embrace the concept of cultivating mutually profitable relationships. Because there is no franchise fee, startup cost or inventory investment required to participate in this program, startup business owners can immediately offer a proven rental program to their customers with no financial commitment or advance market research. To learn more and/or complete an Affiliate Application, please make a selection from one of the yellow tabs above & left or using the links below.